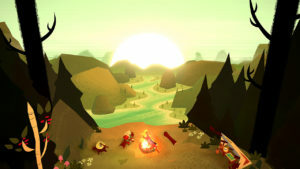 Since its release, the Switch has become a “go to” destination for uniquely creative titles from independent developers desiring to showcase their work to a vast audience. 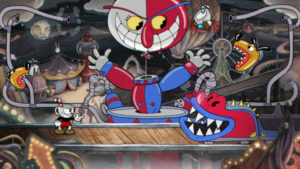 And, the trend doesn’t seem to be slowing anytime soon as proven by today’s Nintendo livestream which focused exclusively on indie titles coming to the Switch over the next several weeks. 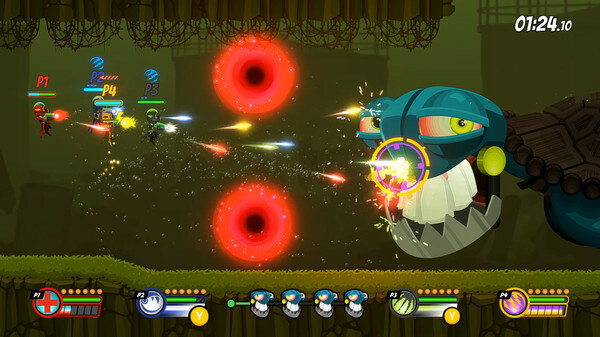 Play as one of two protagonists trying to repay his debt to the devil in this classic run and gun action game inspired by 1930’s cartoons and set to a jazzy soundtrack. 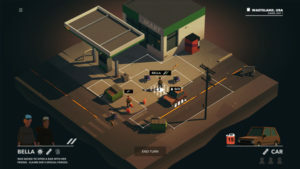 Fight scary creatures, rescue strangers, and scavenge for supplies in this squad-based survival strategy game set in a post-apocalyptic North America. 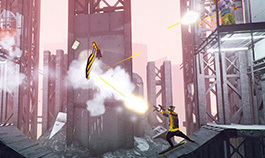 Jump, swing, and run while using split aiming and slow motion to your advantage as you make your way through a violent underworld, encouraged by a sentient banana to eliminate anyone who stands in your way. 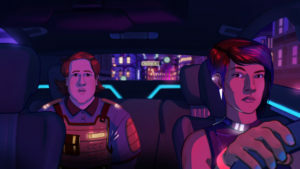 Navigate an unfamiliar city, meet a vast group of interesting characters, and search for your missing friend while working as one of the last human rideshare drivers in an AI driven world in this RPG adventure set in the not so distant future. 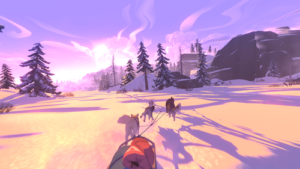 The Red Lantern is a rogue-lite, narrative game where you and your team of 5 sled dogs, lost in the wilderness, must navigate the ever-changing events of the Alaskan bush to find your way home. Prepare during the day to survive the night in this procedurally generated horror game set in the eerie forests of the Soviet Bloc that promises psychological thrills and no jump scares. 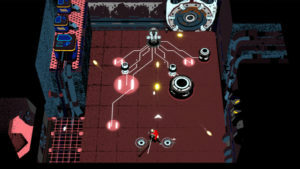 Katana ZERO is a stylish neo-noir, action-platformer featuring breakneck action and instant-death combat. 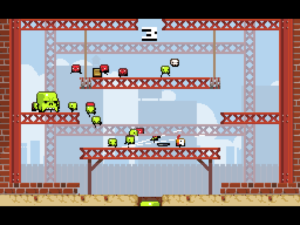 Slash, dash, and manipulate time to unravel your past in a brutal acrobatic display. 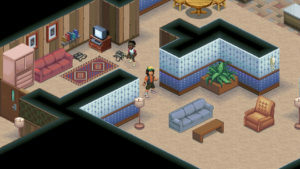 Play as a mutating teenage protagonist searching for the solution to heal your post-post apocalyptic world in this 3D rogue-like actioner. Unlock the power of an ancient facility and face the ominous, all-seeing Creature in this unique pinball-inspired hack & slash. Go on a violent journey through the Weird West as Mr. Wolf, a man betrayed and left for dead, who’s on a mission to exact revenge on his would be killer. 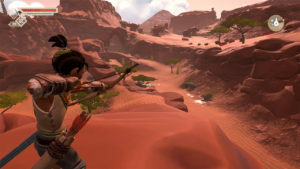 Search for a new home for you and your tribe of humans in this open-world adventure on the island of Albamare where all creatures have their own lives, goals and quests and where factions trade & fight over food and territory. 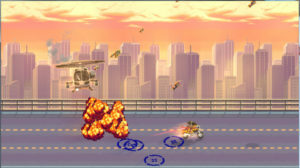 Fight endless hordes of enemies and collect every weapon crate you can in this action title that hearkens back to the golden age of arcade games. 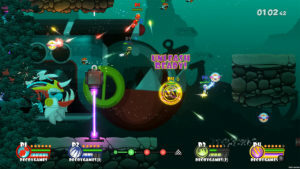 Team with friends or against them in this multiplayer underwater shooter that uses unique power ups and weapons built for survival. 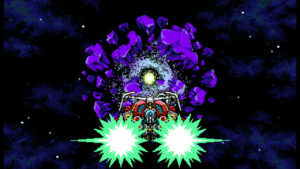 This sequel to Blaster Master Zero, which mixes side-scrolling and top down action, reveals the yet-untold story of Jason and Eve as they venture into the depths of space after defeating the mutant scourge on Earth. 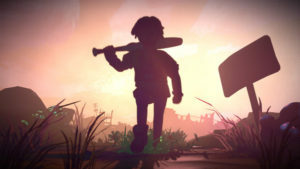 Team up with an AI partner or a friend to explore, solve puzzles, and engage in combat as you take on the mysteries and enemies that will be a part of this 3rd title in this series of games as well as the upcoming season of the hit Netflix show. The game will be releasing the same day Season 3 will become available for viewing on Netflix. You can watch the trailer for the upcoming TV season here. 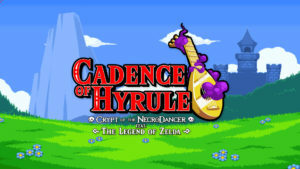 Enjoy the gameplay of rhythmic actioner, Crypt of the Necrodancer, in the setting of The Legend of Zelda. Play as Link or the Princess herself and explore a randomly generated overworld and dungeons on your quest to save Hyrule. The original Crypt of the Necrodancer is currently available for PC, Mac, Linux, Nintendo Switch, PS4, Vita, iOS, & Xbox One. If you missed today’s livestream, you can watch a recording of the 25 minute event on the Nintendo YouTube channel. Get Ready for 2 Formes of Giratina Encounters Starting March 28th!